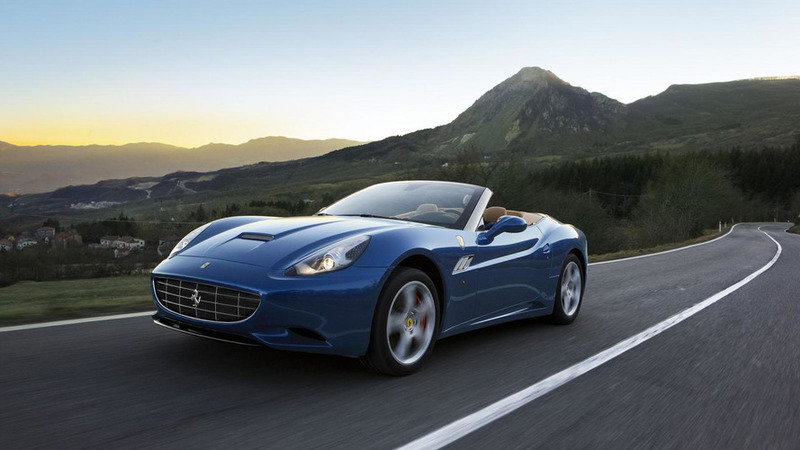 Ferrari has released the first details about the 2013 California, ahead of its debut at the Geneva Motor Show. Modestly revised, the model benefits from an upgraded 4.3-liter V8 engine that produces 490 PS (360 kW / 483 hp) and 505 Nm (372 lb-ft) of torque - an increase of 30 PS (22 kW / 30 hp) and 20 Nm (15 lb-ft). This enables the car to accelerate from 0-100 km/h in just 3.8 seconds. Besides being more powerful, the California has an upgraded chassis which incorporates "cutting-edge aluminum fabrication techniques." Details are limited, but it helps the convertible to weigh less 30 kg (66 lbs) less than its predecessor. The updated model will also be offered with a new Handling Speciale package that includes stiffer springs, a quicker steering ratio and improved magnetorheological dampers.